Ladies and gentleman, I present to you the topic of voice search! If this hasn’t immediately set off your alarm bells or caused you to roll your eyes so hard that they detach from the retina then you might be apart of the ‘never paid it much attention’ subset. Truth be told, I was a part of said subset until recently, too. If this is the case for you, then maybe I can outline some of basics to get you started. Voice search is on its way up, there is no doubt about that! It’s no longer just a distant hope for the technological future spurred on by sci-fi movies and Mountain Dew drinking, fan-fiction writing, inhaler holstering geeks. This technology is absolutely present day and more so than the general public might think. So where does this leave us? Should we commit straight to team ‘panic’ and gun the DeLorean to 88’ in an attempt to warn the past about our impending doom, or should we doodle on over to team ‘chill’, take a nap, eat some snacks, and see where this road takes us? I have noticed that there seems to be a fair amount of stress seeping through this topic still. In fact, if you listen hard enough you might be able to hear the cries from villages afar – “Type search will become extinct!”, “Long-tailed keywords are the devil”, “I feel passive-aggressive towards this change”…This panic, despite my condesending tone, does seem to be somewhat justifed, in the sense that it all permeats from a fear of the unknown. We simply don’t know where our advances in technology will take us. We are the most cognizant organisms on the earth, with a stunning reach towards awesome AI advances. So where the heck does that leave SEO? Will humans even have a place in SEO in the future? This is, of course, the absolute extreme and somewhat pessemistic fear from team panic. But hey, I kind of get it, ya know? One impressively loud insecurity for this team is that converting searches to voice will mean the SEO game will become more competitive and expensive 5. This is due to more keywords being used in searches, meaning a bigger job for SEO, and lets be honest, who wants to deal with that headache? But try to look at it with a sense of comradery and adventure and rise to the challenge! It’s my entirely humble opinion that as we see voice search grow, so too will the teachings and tools, as we have seen throughout the evolution of type search. So, whilst this fear is weighted, it has been found wanting as we really ought not to fear change. First and foremost, it’s important to highlight that just because voice search is inceasing, it doesn’t mean that type search is decreasing. It’s not a mutually exclusive, binary system in which there can only be one victor, it’s just adding yet another dimension to searches. Secondly, all major seach engines have been undergoing their tech-evolution for years, so it’s best not to assume that some new predicted change will bring the whole of the SEO world crumbling to their knees. And thirdly, content still matters! Yes, voice searches are more efficient for some content (such as queries with instant answers) but type searches are still the MVP. Even when the last human is being wiped from the earth by the AI bio-mechanical super beings, type search will still have its place. Voice Search absolutely means changing up how you go about your SEO optimisation, because people will no longer be using search systems in the same way. Instead of that small, concise, unnaturally robotic keyword type search that has been the backbone of SEO, you will see searches become longer and more conversational like. Search queries will follow a hierachical pattern of Who/What, How, When, and Where questions, in that order (oh, the painfully cliche irony that improving AI gets evermore human-like.) This hierachy is important to understand not only because it shows which questions are used more, but it can also hint at the weighting of certain questions in terms of competitive targeting and chasing that oh-so glorious position zero *gasp*. Ultimately, it’s fundemental to change your way of thinking in terms of how people will be searching when they are speaking, because you simply can’t win the lottery if you don’t buy a ticket. 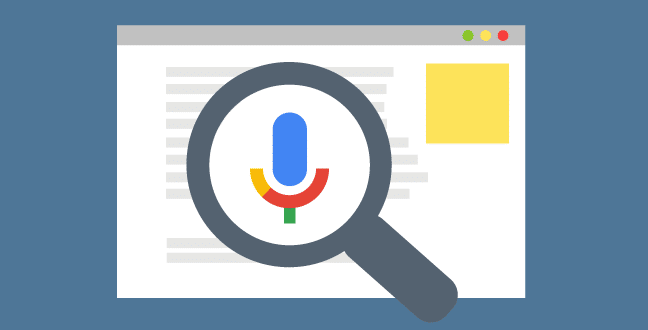 If your content depends solely on clicks and the content is easy to aggregate and present simply, then maybe you could benefit from looking into optimising said content for voice search4. If your content is difficult to aggregate, then you’ll still have a competitive edge and it should be less of a concern. This is due to the era of instant answers; for SEO, this presents as Google’s Answer Box5. ‘The Box’, as the kids who are far cooler than I call it, occupies the infamous position zero and can lead to some quite delicious click figures. But, this tends to only happen for quieries with immediate answers. For example, if I were to follow a recipe that was written with imperial measurements *sigh*, and I needed to convert those measurements, then voice search would turn up an instant answer and it would be easy, breezy sailing from there. However, if my search question is ‘why does my houseplant constantly look like death?’, I’ll need to put some time into scanning my results as there are probably multiple helpful answers from multiple sites. This means I’m more likely to read through said results, instead of letting Siri yell at me for being a sub-optimal guardian to my Avocado seedlings. Optimise for long-tailed keywords4 (Voice searches tend to be 5 or more keywords in length) These need to include Who/What, How, When, and Why. Use question phrases (move away from keyword repetition and move towards saying the same thing but in different ways) FAQ sections are already a goldmine for this, as they have been created in a similar format to structuring SEO for voice search, and should be increasingly utilised. Optimising SEO for voice search isn’t the big bad monster its made out to be. Ultimately, I think it’s best to think of voice search as yet just another tool that’s only beneficial as long as you can predict the successes from it’s implimentation. As per any other tool, if its incorrectly administered and/or unecessary then the effects will be negative. But the flip side of that is also true, in that this tool might be the competitive edge you have been seaching for!! !